Money Mastery with The Budgetnista | New Growth Hair Magazine | We capture the culture of urban barbershops and beauty salons. 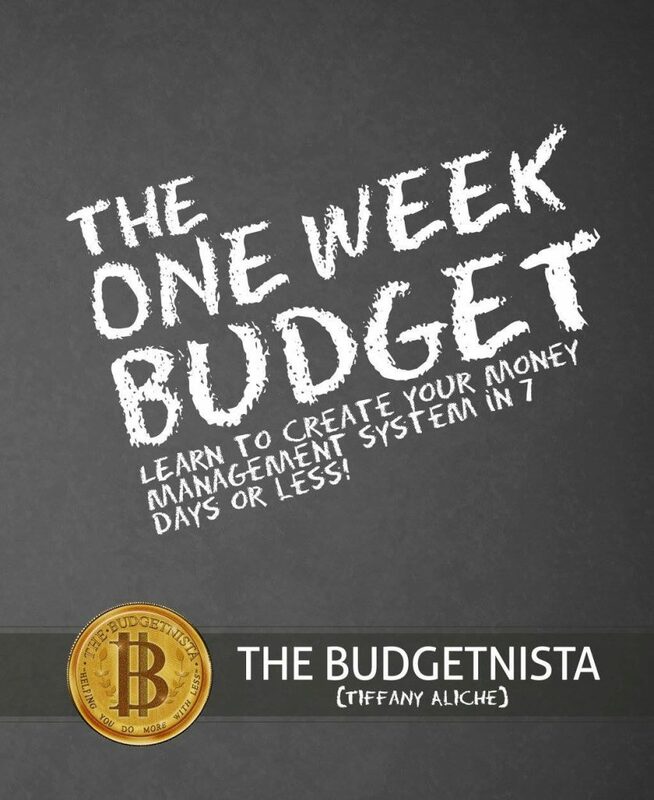 Tiffany “The Budgetnista” Aliche is the best-selling author of The One Week Budget. 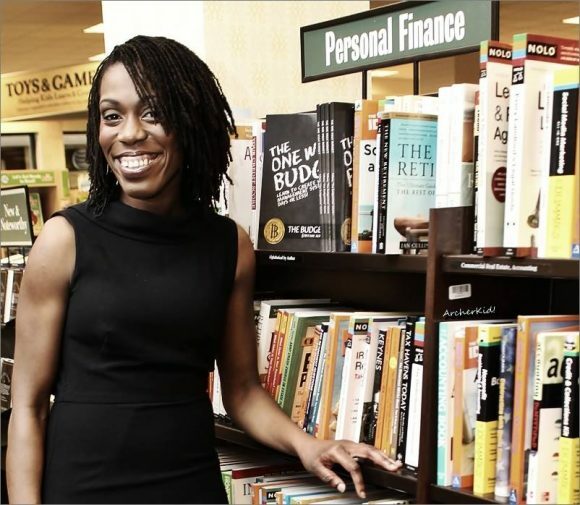 Her company, The Budgetnista, specializes in the delivery of financial literacy education. In 2014, The Budgetnista created the ‘Live Richer Challenge’, with the goal of helping 10,000 women master their money in 36 days. The ‘Live Richer Challenge’ was launched on Jan. 5, 2015 and has more than 18,000 members (mostly women of color who had been ignored by the business community). You’ve probably seen The Budgetnista’s financial advice in The New York Times, Time Magazine, Essence Magazine, Fox Business, Forbes Magazine, The Wall Street Journal, MSNBC and CBS. Below is my in-depth interview with The Budgetnista about the importance of budgeting. Phillips: What is a budget and why is a budget important? Budgetnista: A budget is a physical picture of what your money is doing. A budget allows you to see how much money is coming in versus how much money is leaving your bank account. A budget has to be physical and not something you just see in your head. It’s either on an Excel spreadsheet or written down on paper. A budget is important because a budget allows you to have control. Budgeting allows you to see a picture of what your money is doing so that you can begin to be purposeful with how you handle your money. Phillips: How did you earn your nickname ‘The Budgetnista’? Budgetnista: My little sister actually gave it to me. When I was first starting my business, I was trying to figure out a fun name to call myself. I Googled Budget Diva, Budget Queen, and several other names but they were all taken. So, I called my youngest sister (who was a teenager at the time) and she said “you know what, there is a girl called the fashionista. You should be the Budgetnista”. Phillips: How did you save $40,000 on a $35,000 teacher’s salary? Budgetnista: So, when I first started my teaching job, I decided to limit the amount of my unpaid bills. Before I moved out, I stayed home for a year to save money to purchase a car. When I purchased a car, I bought it in cash for $5,000. The car was about three years old and buying it allowed me not to have a car payment. When you don’t have a car loan you don’t have to pay a high insurance because you aren’t required to have full coverage. At that time, my insurance was like $52.00 a month, all my friends said ‘that’s impossible’. With no car payment and low auto insurance, my monthly bills were much lower than all of my friends’. Before I decided to move out of my parents’ house, I asked my sister if she wanted to be my roommate. She agreed and we began looking for a place. We found a small 2-bedroom house with 1 bathroom which rented for $1,100 (including all utilities). I was paying $550.00 for rent while most of my friends were paying at least $1,000.00. Instead of buying items on credit, I saved to purchase anything that I wanted to buy in cash. So I didn’t have a couch bill, a TV bill, or bills for my clothing. I was making $39,000.00 a year but I was living off of half of my income. Phillips: How do you travel on a budget? Budgetnista: So, one of the best ways to travel on a budget is to ask yourself all the potential places that you would like to visit. Next, select the places that you can afford based on the price and not the destination. I don’t say “I’m going to Paris in October”. Instead, I say, you know what, I’d like to save to go to Paris, Greece, and a few other places’. Then I wait for a sale to hit and then I make my travel plans. I have a travel account and I put 5 percent of my income aside for travel. So, I don’t have to worry about spending savings, bill money, or retirement money for travel. I have a travel rewards card so whenever I book a flight or hotel I swipe my travel rewards card. I pay off the charges on the same day so that I don’t create credit card debt with my charges. After so many travel card charges, I earn a free flight which reduces my travel expenses. Also, I use websites like Groupon, Orbitz and Expedia to find good travel deals. I’ve travelled to the following places: Greece, Turkey, India, Spain, Morocco, Slovakia, Austria, Switzerland, France, New Mexico, San Francisco, New Orleans, Orlando, and Miami. I like traveling both abroad and domestic because I think there is beauty everywhere. Phillips: What is the connection between budgeting and saving? Budgetnista: Budgeting allows you to save because budgeting is a picture of what your money is doing. To budget is to tell that picture what you want it to look like and so what you should be infusing into that picture is ‘I want to set aside money for savings,’ it should literally be a line item. I pay myself like I pay a bill, so I pay a bill in my budget called me, where I set aside money for me. I pay my rent, I pay my car insurance, and I pay me. It’s in the bills and so that is how budget is related to savings; correct budgeting allows you to save. Phillips: When should parents begin to discuss budgeting with their children? Budgetnista: Parents should begin to have conversations about budgeting and money very early. When a child stops saying “mommy, daddy can you give me and they start saying can you buy me?” Usually around age 3 or 4 is when children make the connection between money and objects that they desire. If they are saying, ‘buy me’, they have made that connection. Now it’s time for you to make sure it is a correct connection in explaining to them how money actually works. For ten years, I taught preschool and I taught my kids about money. I had classroom chores for my kids but instead of calling them chores, I said it was their job. I paid them in monopoly money for their job. Zero dollars if you didn’t do your job, one dollar if you did an okay job, and two dollars if you did a good job. My kids made their own banks out of shoe boxes and then they would deposit their money every week into their bank account. Once every two weeks, they were allowed to spend their monopoly money at our in class store so they could see how money works. Parents can create a similar environment at home to teach their children about money. Phillips: How can people date on a budget? Budgetnista: I can’t speak for every woman but a lot of women that I know are looking for romance. You can be romantic without having to spend a whole lot of money. You can do a picnic. Find a quiet location, put down a blanket in advance, and bring a basket and a radio with you. If you decide to go for some ice cream afterwards, you might spend $3.00. It’s possible to have a date without breaking the bank. You don’t have to do dinner and movie because that could be really expensive. If you don’t like the picnic idea, consider going out during the day which is less expensive. During a day date, you can try taking a walk in a scenic location, going to a museum, or having coffee. When it comes to dating go for romance over spending and if you want to spend look for discounts on Groupon and similar websites.